The first widely recognised financial crisis, known as “Kipper und Wipper”, occurred in the early 1620’s when city-states of the Holy Roman Empire debased currencies to systematically defraud their neighbours . Since then we have experienced Tulips in Amsterdam, the Great Depression, Japan in the late 80’s, the dot-com bubble and the GFC to name just a few. In periods of negative returns such as those mentioned above Variable Beta long-short equity funds aim to provide investors with increased capital protection. A Fund that has the ability to hold variable levels of cash and short sell equities or indices can cushion the fall by being less than 100% exposed to equity risk, and can generate positive returns from short selling. Over an equity cycle of rising and falling share prices, the variable beta manager seeks to produce a superior risk-adjusted return for investors by reducing downside volatility and participating in upward momentum when presented. This may also mean that in rising markets, the variable beta manager may not be 100% exposed to the market. 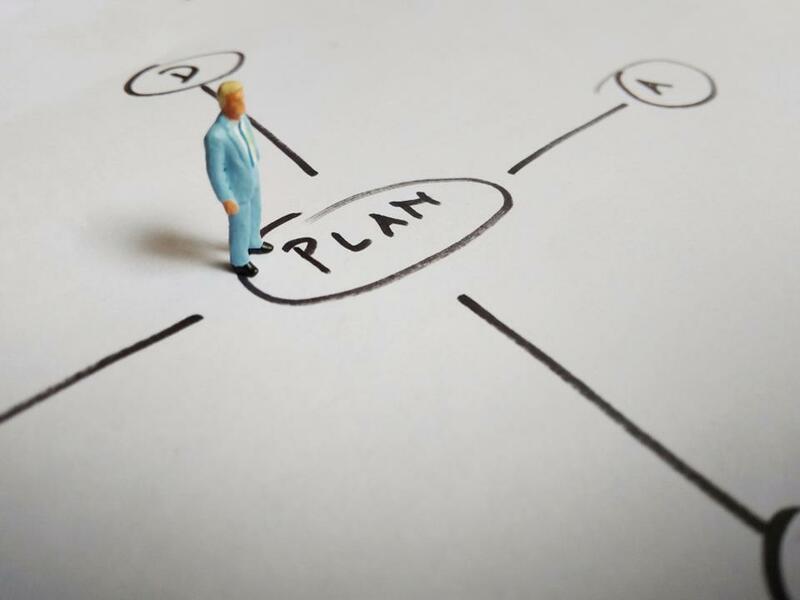 Through their flexibility to adapt to changing market conditions, Variable Beta funds can essentially afford investors a smoother and less volatile investment return path, with increased capital protection as a primary objective. By contrast, passive exchange traded equity index funds (ETFs) attempt to track an index and are therefore 100% exposed to equity risk at all times. Long only equity funds attempt to outperform a particular equity index benchmark and are also generally fully exposed to equity risk. In response to the GFC (remember November 2007) accommodative monetary and fiscal policy was rolled out across the US, Europe, Japan and China. Those measures, coupled with consolidation and deleveraging of corporate America triggered the long sustained equity bull market we are currently experiencing. Since March 2009, the S&P 500 has risen 269.8% with only 36 out of 112 months recording negative monthly returns. 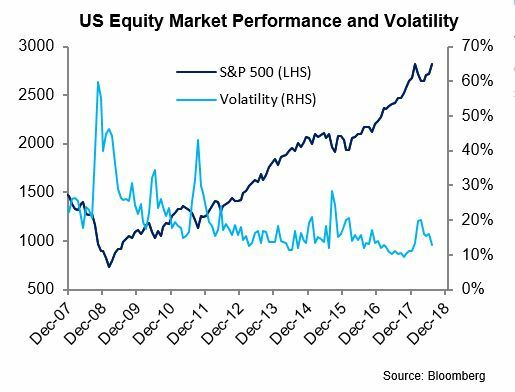 This abnormally long upward trajectory for US shares has also been associated with relatively low volatility. The US’s dominant position in relation to technology innovation has created domestic winners at the expense of companies listed outside the US whose markets are being eroded by online competition, more efficient distribution mechanisms and increasingly autonomous manufacturing processes. Intervention by central banks and the resultant buying of government bonds has exerted an unprecedented downward bias on both long and short term interest rates in developed economies. Technology innovation has also subdued inflationary pressures and helped keep interest rates low. Traditional ‘risk free’ long term (10 Year) government bond interest rates have fallen to such low levels that investors are now seeking alternative sources of yield. These alternatives include high dividend paying shares, high yield corporate debt and high yielding property. 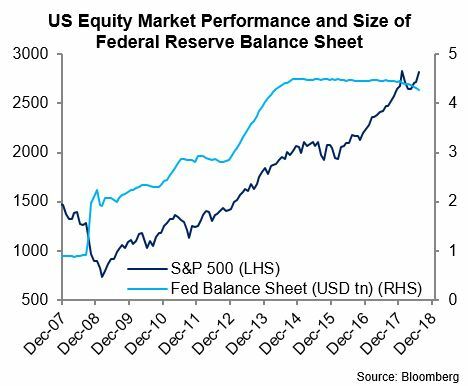 Low interest rates, excess liquidity, rising property values, recovering economic growth and accelerating corporate profit growth, particularly in the US, has prompted strong inflows into US equity-focused mutual funds, ETFs and other passive equity funds. The strong inflows into ETFs and other passive equity index driven strategies since the end of the GFC has been a significant driver in the sustained appreciation of US equities. To the extent that funds have entered the equity market in a more passive manner, the valuation call on equities has, at the margin, moved away from active managers/investors, individually assessing corporate valuations, towards being determined more so by cash flows into ETFs and other index funds. This creates a level of un-natural demand for companies represented in those ETFs and indices. It is an inherently risky strategy that replaces the concept of true valuation with pure momentum. underinvestment in infrastructure in the US ending with President Trump’s infrastructure spending programs. While we believe the equity rally could continue, driven by the persistence of a number of positive factors, the conditions for any bull market will eventually deteriorate. A case in point is the experience of the Japanese equity bull market that ended on 29 December 1989. The Nikkei 225 Index peaked at 38,915, eventually bottoming out at 7,568, down 80.5% some nineteen years later on 27 February 2009. The Japanese equity rally was initially driven by a multitude of positive real economic and political factors. High valuation of Japanese shares was explained away by focusing on other valuation measures instead of traditional price to earnings (PE) ratios. Price to sales, various growth valuation measures, inherent property value per share, related party buying activity, warrant issuance, new management paradigms and overseas expansion were all used to justify stratospheric valuation. However, poor corporate governance and strategy, a focus on market share rather than profit, excessive valuation, irrational exuberance of Japanese equity investors, inflated property prices, high debt levels and an over leveraged banking system eventually prompted the market collapse. There are many other examples over the last 40 years of 50% plus equity corrections ranging from the US dot-com bubble to emerging markets such as China, Indonesia, Thailand and Korea. Given the significant equity holdings that have been acquired by ETFs and passive index funds in the last decade, an extended period of outflows from these investment structures is likely to be an environment that sees a significant market correction. Why now is the time for Variable Beta? Being long into overtime with this bull market, and if history is to teach us anything, now would be the time to ensure that all portfolios have a portion allocated to a Variable Beta/Long Short investment strategy. 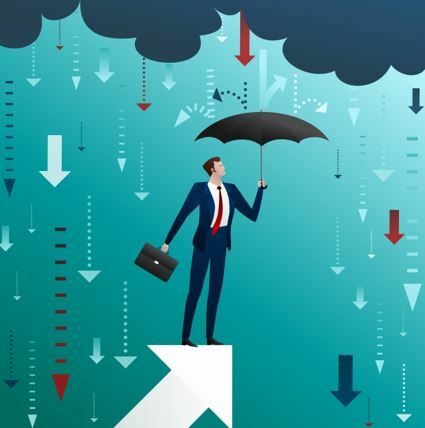 Applied hypothetically to the above not-so-distant events a Variable Beta approach would have provided investors greater capital protection via the manager being able to hold cash and take short equity positions. Most importantly, Variable Beta long-short managers have the ability to act quickly when market conditions change which is particularly useful in the current environment. For more information, please visit our website or contact a member of our distribution team on +61 9691 6111.